The government on Thursday sought Parliament's approval for additional gross expenditure of Rs 859.48 billion, about half of which is for capital infusion in public sector banks through recapitalisation bonds, during the current fiscal ending March 2019. 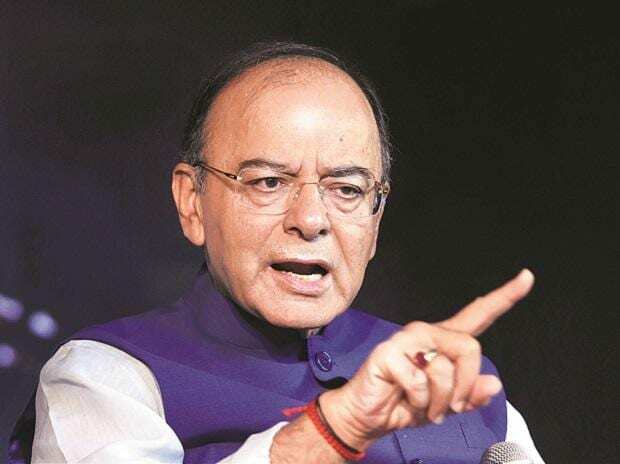 Of the total, only Rs 150.65 billion would be net cash outgo, said the second batch of Supplementary Demands for Grants 2018-19 tabled by Finance Minister Arun Jaitley in the Lok Sabha. Through these grants, the government proposes to infuse Rs 23.45 billion in a turnaround plan for national carrier Air India. "Approval of Parliament is sought to authorise gross additional expenditure of Rs 859.48 billion. Of this, the proposal involving net cash outgo aggregates to Rs 150.65 billion, and gross additional expenditure, matched by savings of ministries/departments or by enhanced receipts/recoveries aggregates to Rs 708.82 billion," it said. The government has proposed additional capital infusion of Rs 410 billion in state-owned banks through issue of government securities (recapitalisation bonds), said the document. In October 2017, the government decided to infuse Rs 2.11 trillion in PSBs over the next 2 years -- through budgetary provisions of Rs 181.39 billion, recapitalisation bonds of Rs 1.35 trillion, and the balance through raising of capital by banks from the market while diluting government equity estimated at Rs 580 billion. The government envisaged that PSBs would raise Rs 580 billion from the stock markets by March 2019 to meet Basel III norms. However, due to subdued market conditions, banks have been unable to raise enough funds from the markets so far. In addition, non-performing assets of many banks have seen a spurt in the first two quarters of this fiscal, putting stress on their bottom lines. As per the document tabled in the Lok Sabha, Parliament's approval has been sought for expenditure of Rs 2.5 billion for providing additional equity investment in form of bonus shares issued by Oil India Ltd. Besides, an additional spending of Rs 53.43 billion for various projects and schemes of Ministry of Railways has been planned. The government plans to spend Rs 2.47 billion towards interest subvention for incremental credit to the micro, small and medium enterprises and Rs 5 billion for grant for creating capital assets to National Ganga River Basin Authority, said the document.